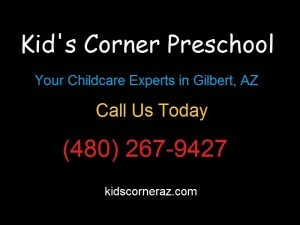 Why do you need to find a daycare center in Gilbert? To help your children get a head start on their education for one thing. We don’t live in a world that allows us to be with our children as much as we would probably prefer. For those that do have the rare ability to be a stay-at-home parent, it is still worth considering enrolling your child or children in a day care program if only for a few days a week. There are many benefits to this, and a few things to consider as you look for the best daycare center in Gilbert, and this article will cover those issues in details. Socialization is vital for children throughout their lives. A stay at home child, or one that never attends a center with other children before kindergarten, is going to struggle with basic social skills once they get out in the real world. Have you ever sent your children to your parents just to hear how they were perfect angels, never said “No” once and cleaned up after themselves? At home, they are just the opposite. They consider you their house cleaner and they try to be the king or queen of the castle. This is due to how children naturally view parents. This sounds a bit barbaric, but they know their parents will keep them safe on an instinctual level, thus they don’t fear you when they tell you “No” after you ask them to clean up a mess. When they are with other family members, such as grandparents, which they don’t have that same instinctual bond with, they follow directions. Research shows this is because they are practicing self-preservation. The idea is that they know their parents will keep them safe, but their grandparents don’t have to. While we, as parents, know that that isn’t the case, the child will act differently without realizing why. But what about a daycare in Gilbert? How will your child act? Well, part of that will depend on the center that you select. Take the idea of finding a daycare in Gilbert seriously. Look around and check them out. Are they licensed by the State? What reviews are out there about them? Ultimately, though, trust your feelings. That way you know you’ve not only found a daycare, you’ve found the best Gilbert daycare center.